My son has a favorite pastime and I am becoming more and more a huge fan myself -- exploring abandoned America. 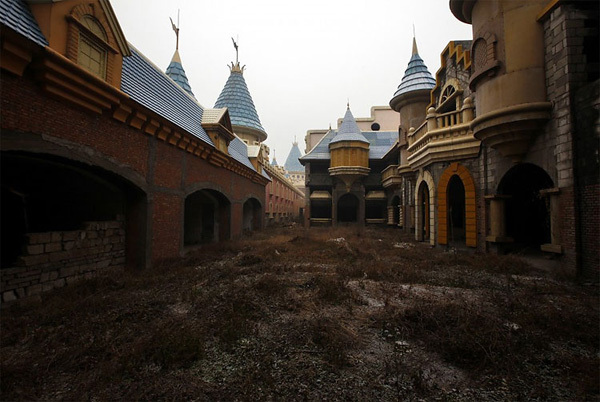 We truck out to defunct schools, hospitals, drive-in movie theaters and what remains of amusement parks (Wonderland, China is on his bucket list - the largest theme park in Asia that never was). I have to think that his fascination started when he was 5 after seeing the Carsten Höller - AMUSEMENT PARK installation at MASSMOCA. When the elevator doors opened into the Building 5 Gallery, we were all overtaken by the beautiful, somewhat eerie and mesmerizing experience. In my next large scale series of paintings I am driving towards, into and beyond the abandoned walls that surprise and intrigue. I'll layer references of archeological traces of people and the marks they have left and what time has taken and allowed to remain. My son and I were awe struck when our eyes first set on this graffiti during our urban exploration of the abandoned factory. I can't image how those four boys felt in 1940- Lascaux, France- when they stumbled across the hauntingly beautiful cave paintings while searching for their lost dog. Before humans had words, we had the innate desire and ability to communicate through imagery. 36,000 years ago our Stone Age ancestors demonstrated intellectual sensitivity and sophistication to interpret and attach meaning to their surroundings on the limestone cave walls of Lascaux and Chauvet-Pont-d'Arc, France.